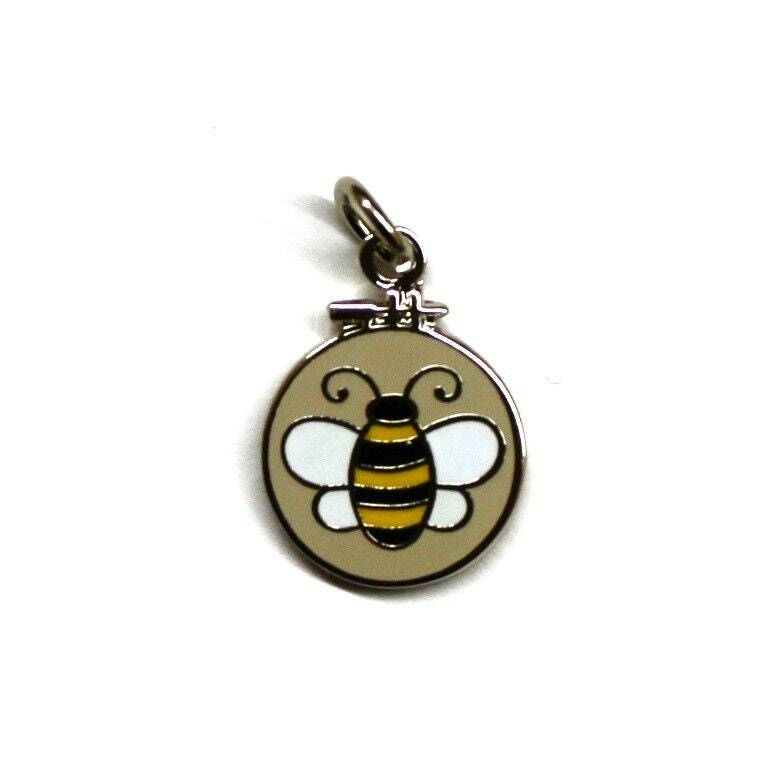 This super cute Embroidery Hoop Bee charm was designed by me and is EXCLUSIVE to SewMuch2Luv. This charm was included in our April Bag of the Month package. 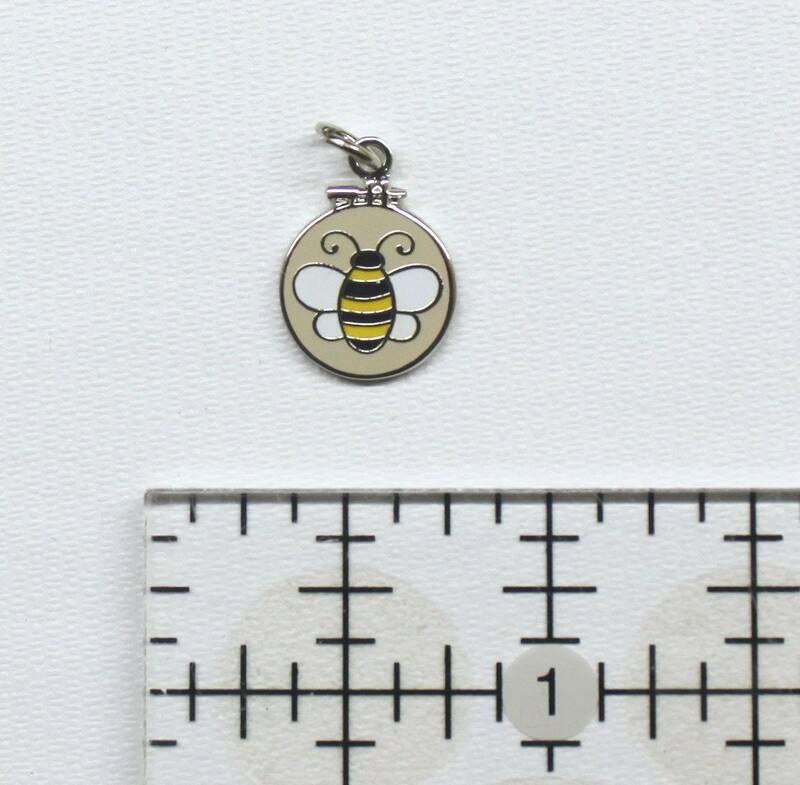 We are super excited to be able to offer this darling 1/2" charm! It is super high quality and can be added to a charm bracelet or necklace! Love this charm. So cute. Lovely charm, quick shipping. Thank you!